Are you continually late for appointments, forgetting important tasks or meetings, or a day late and a dollar short? In the words of Stephen R. Covey, "The key is in not spending time, but in investing it." If you have been spending your time on the wrong things, or even if you have been putting it into bad investments, it sounds like you have a time management problem. One of my favorite motivational speakers is Zig Ziegler, and although it has been many years since I heard him say the following at a time management seminar, I still remember it and plan my work around it. "If you do what you ought to do when you ought to do it, you can do what you want to do when you want to do it." It's simple, easy to remember, and best of all, it works. If I plan my work and work my plan, I have plenty of time to invest in the things I really want to do like spending time with family, volunteering at the local mission or playing my piano. If I fail to plan, it is inevitable that I'll end up frittering away the day on non-productive activities. In the articles that follow, you'll find a wide variety of articles on ways to invest your time smarter to get a higher return on your investment. Once you learn how to do what you ought to do, and plan time to do it, you will be amazed at how much time you will have available to do just exactly what you want to do. You know that organizing your work space, planning your work and working your plan are key components of an effective time management plan. You understand the importance of prioritizing your tasks and spending time on the most important projects rather the least important ones. But, how do you avoid the procrastination traps? Find out this and much more. This is boot camp for time management, but if you follow the advice you will find here, you will reach heights of productivity you never dreamed of. This comprehensive review of LeechBlock, which is a Firefox application that allows you to block (and unblock) certain websites so you aren't tempted to spend your valuable time browsing the web instead of doing your job will either inspire you or intimidate you. Are you up for the challenge? 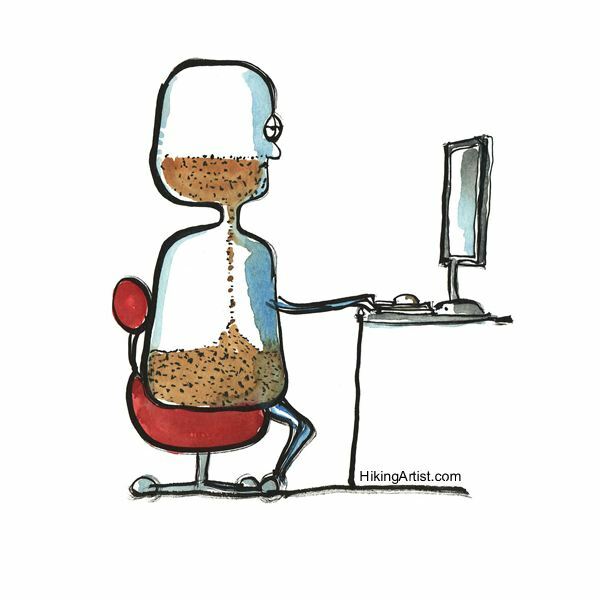 Maybe you are just not ready to go cold turkey and lock up your computer to eliminate potential time wasters. A less intrusive alternative is to invest in a time management software program to help you stay on track. Here's a review of five of the best options. It could be that you are just not sold yet on the benefits of time management as a way to increase your productivity. Alternatively, you could be sold on the concept but intimidated by the thought of creating your system. Here's what you need to know to get started. The focus here is to help you analyze your work environment to identify where your time gets sucked away. You may not be conscious of just how much time little tasks like returning phone calls or answering emails can steal from your work day. You'll find out how to tame these time wasters as well as other tips for utilizing your time productively. Do you know how to identify if an activity is making you money or costing you money? Can you recognize when you are obsessing over tasks and neglecting family, or spending too much time on personal issues and short-changing your work? These real world tips will help you learn to track and monitor your time better and discover your own optimal work time schedule. It's easy at the end of a long, frustrating day to lash out at others and blame them for wasting your time. However, once you cool down, does it become apparent that you brought this trouble on yourself? Here are real world solutions for identifying and eliminating those self-generated time sucking traps. To the uninitiated (those that don't work at home), working at home sounds like a dream come true. After all, you get to drink coffee all day, lounge around in your most comfortable clothes, and just work when you feel like it, right? Wrong! Here we'll show you how to avoid the temptation to laze around the house instead of taking your work seriously. Okay, let's be real. It is tempting to take that cup of coffee out on the deck and enjoy the scenery for just a few minutes before you start to work. That's one of the joys of working at home, isn't it? While it may be one of the joys, it's also one of the ways you can put off unpleasant work tasks for just a few more minutes…which could turn into a few more hours. Here's four basic but effective ways to get back on track. If you like to-do lists but one of your time management issues is you can never remember what you did with the list, this system is for you. It comes in a free or paid version and it allows you to automate and streamline that to-do list in ways you could never dream of if you insist on clinging to those annoying yellow sticky notes. This is technology at its best, and it is user-friendly to boot. While we hope by this time we have presented enough evidence to convince you of the value of managing your time instead of letting it manage you, we may not have made the sale just yet. Here are 10 tips and ways that being a smart time investment portfolio manager will give you the highest return on your investment you could ever imagine. What Is the Best Time Management Planner Organizer System? If you don't already have a planner system you like, you are in luck. After you read and process the in-depth information and reviews presented here, you will be armed with plenty of ammunition to help you make the smartest buying decision for your home office needs.